93% of CEOs find that they need to change their strategy for attracting and retaining talent, while 61% of those same executives admit they do not know where to begin, according to a recent PwC Survey. Join the recruitment revolution and renovate your current hiring strategy to align with the dynamic new era of talent acquisition. Learn how to continue to attract talent with an engaging online presence by understanding the changes in recruiting techniques and job seeker behavior. 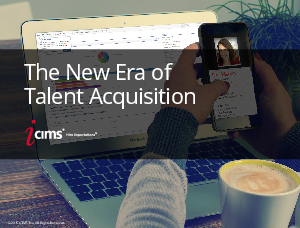 Find out how recruitment software, like the iCIMS Talent Platform helps companies find, screen, and hire the right talent in today's new era of job seeking and recruiting.